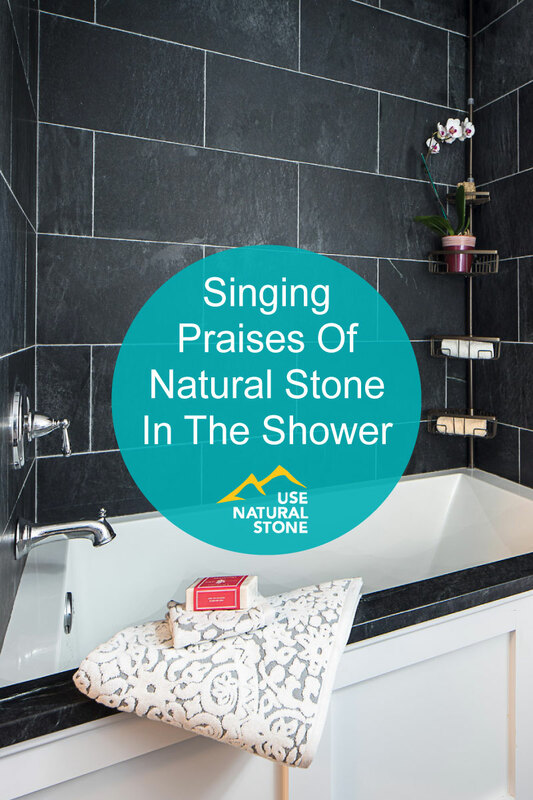 When it comes to beauty, few building materials can compete with natural stone. 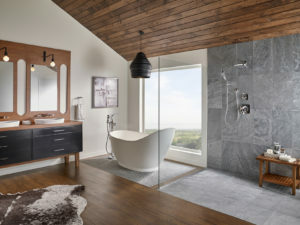 One-of-a-kind markings, dramatic colors, and rich finishes make it a popular choice, especially in bathrooms where it can transform a utilitarian space into a spa-like retreat. Long considered a great choice for countertops, more homeowners are now also having natural stone installed in the shower. 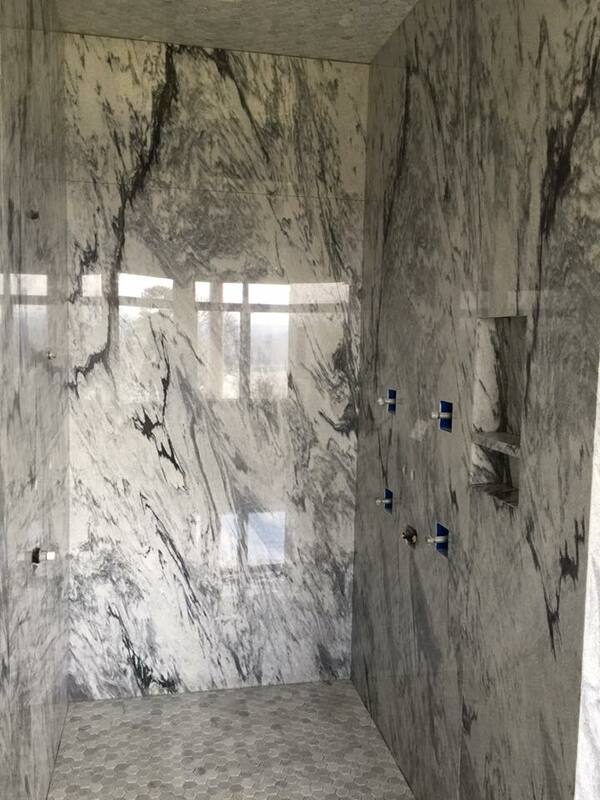 Georgia marble. Photo courtesy of Polycor. A useful generalization is that the lighter the stone, the more porous it is. “Darker stones have a tighter molecular structure and are less likely to stain” Bonasera says. There are many exceptions to this concept, and a knowledgeable stone supplier and fabricator can help guide you to a suitable material. 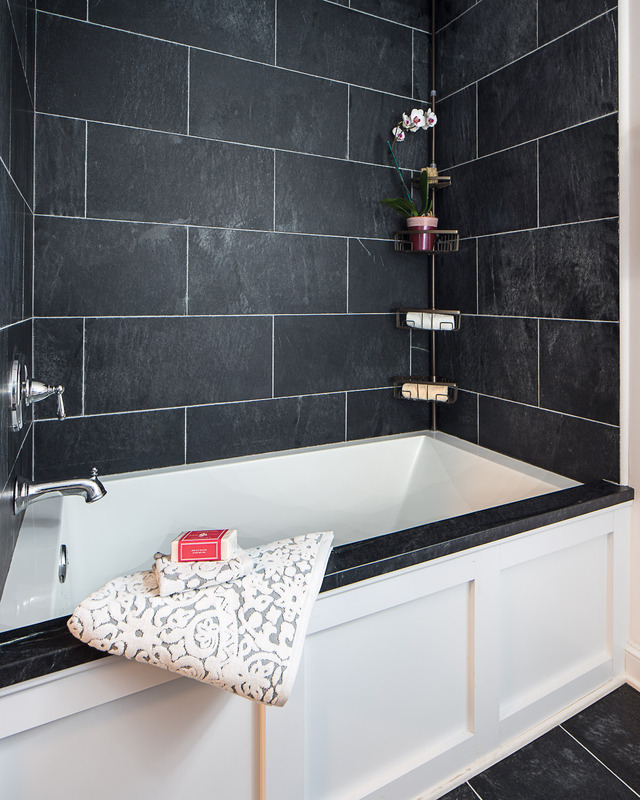 Alberene soapstone. Photo courtesy of Polycor. When cleaning natural stone, it is best to keep things simple. 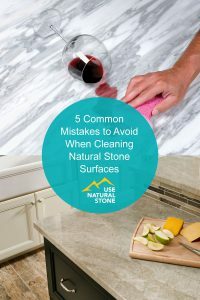 Soapy cleaners can add build up and attract dirt, while vinegar and harsh cleaners can damage the stone. To avoid these issues, always use a neutral cleaner with a pH level of around seven. Montauk Black slate. Photo courtesy of M S International. 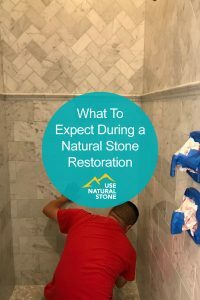 While sealing stone is something the average homeowner can do, it is important to follow the instructions. For best results, hire a stone professional or restoration specialist. “Get a guarantee in writing from a reputable contractor, someone who will be accountable,” says Bonasera. 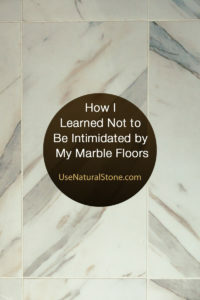 Even the tidiest homeowner should consider hiring a professional to come out every two to five years to have the stone rehoned or repolished, says Tabbah: “We get a lot of calls to refinish the stone because it loses its luster over time due to water exposure or calcium deposits,” she says.